Your destiny will become one with the City of the Great King when you love and embrace Jerusalem. Jerusalem belongs to Jesus. 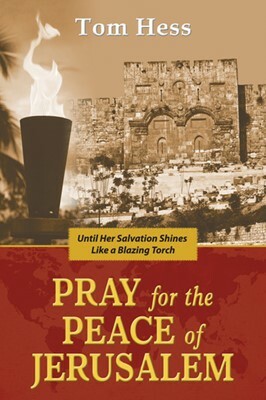 Every believer is commanded to pray for the peace of Jerusalem all who love her will be successful. Pray for the peace of Jerusalem: May they prosper who love you. Peace be within your walls, prosperity within your palaces (Psalm 122:6-7). In a time when God is shaking everything that can be shaken, naturally and spiritually, you will be secure and prosperous when you pray and stand for Jerusalem. You will be blessed now by your eternal Bridegroom and in the New Jerusalem forever when you prepare the way for the King of Glory. Pray for the Peace of Jerusalem gives you spiritual food and understanding about how to pray in an informed and profound way and brings you even closer to the King of Kings.